Welcome to the first Crafty Chicks blog hop! 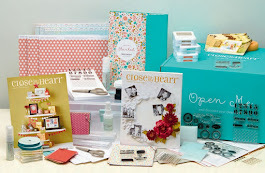 We are a group of ladies who share a love of paper crafting and decided to join together and share that love with all of you on the 15th of each month. 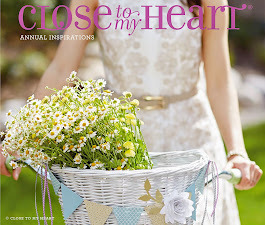 Our theme for June was wedding and we hope you'll find some great ideas along the way for creating your own wedding projects. I have been working on some paper flowers which would be perfect for a DIY wedding bouquet (unique and still elegant) or for centerpieces on the tables. The size of the flowers can be adjusted simply by making the petals smaller or larger. We have a fabulous prize for you! 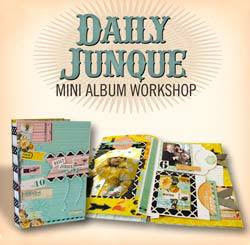 This month the winner will receive an adorable mini album kit from Archiver's called Daily Junque! In order to be eligible to win this prize package we are asking that you leave us some love in the form of a comment on each blog telling us what you like or don't like about our project :) That's it - just go through the hop and leave us a comment. Then on the Rafflecopter below just click "did it". A bunch of other optional entries will then appear and you can do them for extra entries if you choose. One is a just a fun scavenger hunt of sorts. Can you find our mascot in one of the project photos? 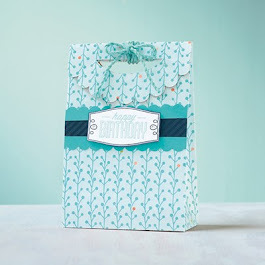 Leave a comment in the Rafflecopter telling us where our "crafty chick" is hidden. 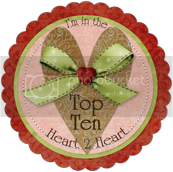 We would love it if you would follow us on our facebook or other social media sites and we love having blog followers but that is not necessary to win. Also if you feel so inclined and had fun on this hop (which we hope you did!) would you share it with your friends? Thanks so much we appreciate that! Happy Hopping! Head on over to Jessica's blog next. Use the template to cut out your petals (you need six for each flower). 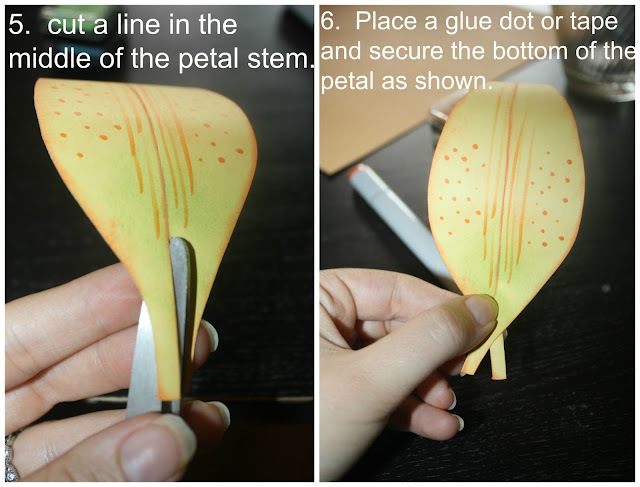 I did not punch holes but some tutorials tell you to punch a hole in the base of your flower. I just glued them all together the way I wanted and then using a paper piercer and floral wire went through the flower center and created a stem. I then used wooden skewers to make a thicker stem, wrapped the wire around them and then covered them in floral tape. To make the pistil in the center I took an "L" shaped piece of cardstock and cut slits, then rolled the paper up starting on the slit side and glued it in place. I use glue to put it in the center of the flower. That is all and the flowers were done! The first one took me some time to play around with but after that the rest came together pretty quickly. 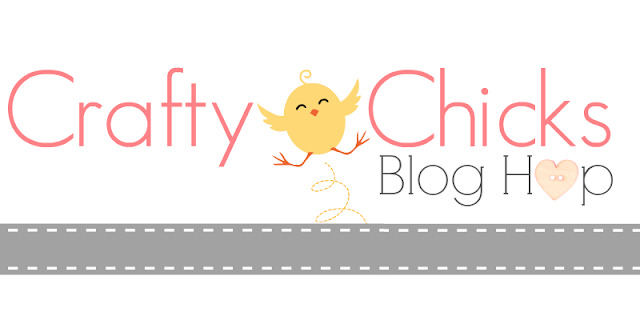 Thanks for stopping by - your next stop is Jessica's blog. These flowers are gorgeous! What a great idea for a wedding!! Thanks Nicole - I really thought paper flowers would make a unique and inexpensive addition to a DIY wedding :) Wish I had thought of it about ten years ago! These Flowers are incredible Liz!! These flowers are beautiful! Thansk for sharing the DIY! Your flowers are ah-maz-ing!! OMGoodness, so very beautiful!! Elizabeth, these flowers are just stunning! I love lilies! You did a beautiful job! OMG, Elizabeth! Your flowers are beautiful! Wonderful first stop on the Hop!! WOW!!! They look so real! What a fantastic project!! Wow Elizabeth. These are so cool. Great project. Oh Elizabeth, your flowers are just stunning! Thank you for the tutorial. Gorgeous flowers. I like the way you added the dots and lines. The flowers are so pretty! I need to look at this on my computer so I can read the directions, but I definitely eat to try this! These are great...would also be great for lawn party. Very cool! Those would make great wedding decorations! 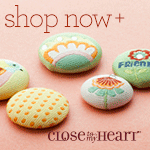 Close To My Heart Sold Out!